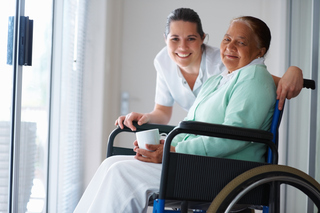 When someone returns home after a stroke, it is important to create a safe, nurturing environment that will help in their recovery. 1. Increased lighting, especially at the front and back entrances, maybe with motion sensors so the lights come on as you approach the entrance. Increasing the wattage of the bulbs in interior hallways and stairways. Adding larger windows, skylights or task lighting to the kitchen. 2. Making a safer entrance with a ramp and railings and smooth threshold transitions between rooms and outdoor decks or patios. Ramps are not just for people in wheelchairs. 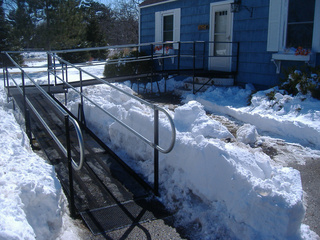 A ramp provides a safe entry and exit over stairs, especially during the winter months. 3. Add safety rails and grab bars in the bathroom. 4. Add a stairlift to the upper and/or lower level. Choose Amramp for all your accessibility needs. 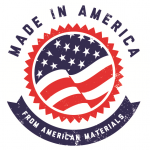 The Amramp teams across the country have accessibilities experience and are familiar with the Americans with Disabilities Act guidelines and local zoning laws. Take advantage of a FREE evaluation to review your needs and lay out a remodeling plan. Help to keep you and those you care for safe at home. Unique Amramp surface lets snow and moisture pass through. 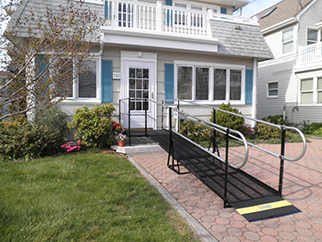 An Amramp wheelchair ramp makes it safe and easy for your clients to go to medical appointments, shopping or to visit friends.